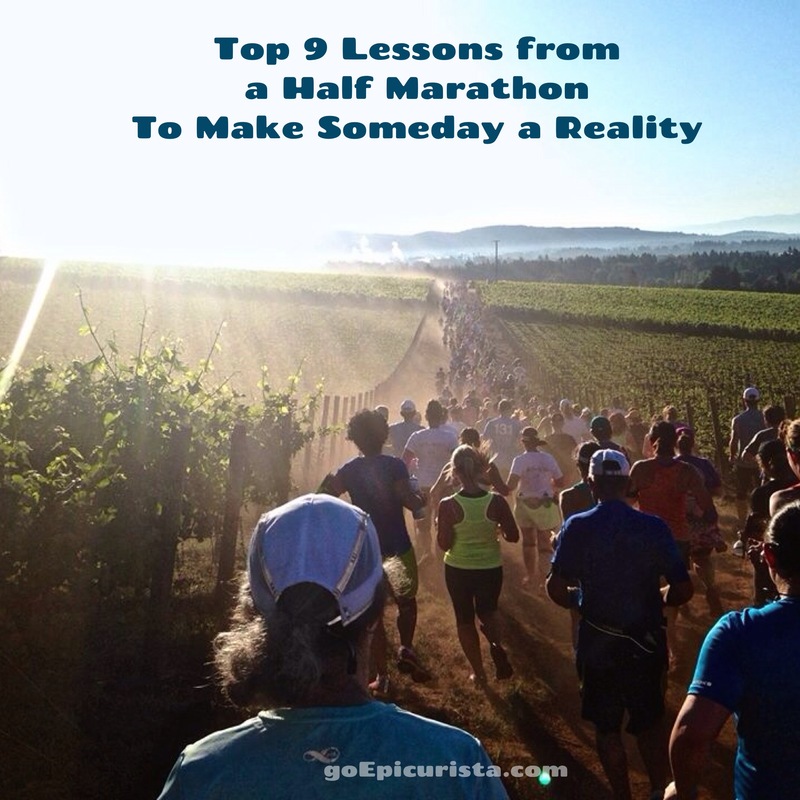 Are you ready to find out my top 9 lessons from a half marathon to make someday reality? We need to revoke our membership in the Procrastinators of Pleasure Club once and for all! Stop putting off to tomorrow the things we find enjoyable today, ban the word “someday” from our vocabularies and make someday reality. If you don’t know what I’m talking about, check out The Procrastinators of Pleasure Club and Ban Someday from your Vocabulary. Now, the question is how do we get there? How do we make “someday” happen? I believe it’s important to learn from our past experiences and share this knowledge so below are the nine lessons I learned from the first activity I kept putting off to someday: Exercise. I would often say I wanted to, no let me rephrase, I “needed” to work out but just didn’t have the time. Sound familiar? I overcame my exercise procrastination when I was challenged by my sister to run a half marathon even though I couldn’t even run for a full minute, let alone a mile. I am not one to back down from a challenge but thinking about 13.1 miles? Forget about it! Gasp for air! It was tough. I didn’t think I could do it. I didn’t think I would survive. Yes, I’m being a bit over-dramatic (cue the violins) but you see, these fears were like a nagging voice constantly prompting me to quit. We often listen to those voices that tell us that we don’t have time, that convince us there are more important priorities than our own happiness, the ones that continuously prompt us to postpone and delay our joy to that elusive “someday” that will never happen. Well, I’m happy to say I didn’t listen to those voices. That first half marathon was four years ago. Exercise is now a part of my life and my normal routine. It is no longer something I say “I’m going to do that someday”. 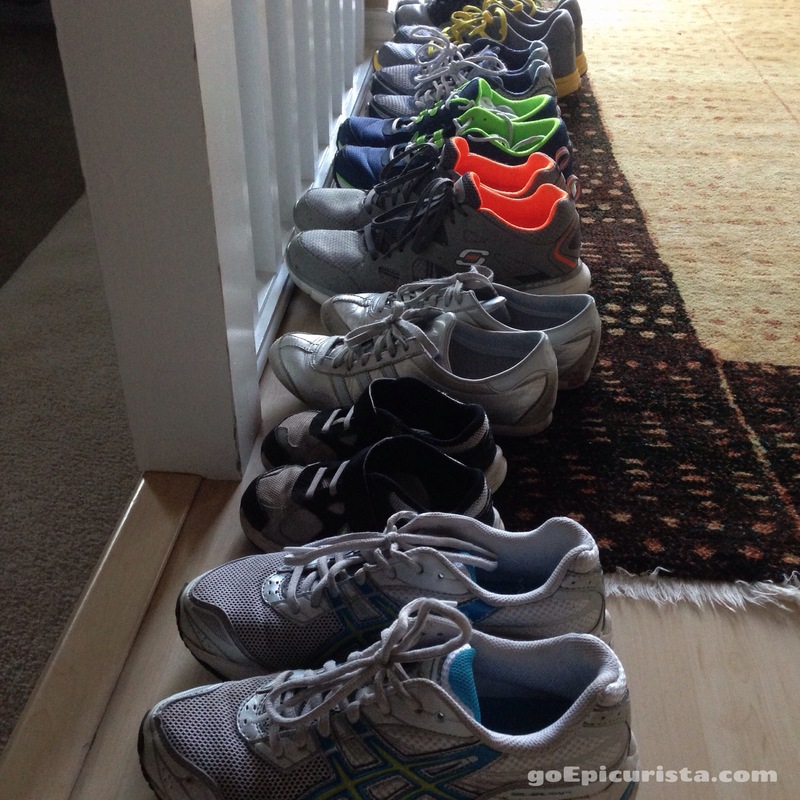 I teach boot camp, practice yoga and run 5Ks and half-marathons on a regular basis. I am not an expert and, as much as I do enjoy it, I’m not a fitness fanatic. There are days I would much rather sleep in than push myself out the door to go run. However, I was able to overcome the “I don’t have time” syndrome and incorporate exercise into my life, so I think these lessons will help me make someday a reality for the other joyful pursuits I have been so diligently putting off for years. This is how I will ban the word someday from my vocabulary, revoke my membership in the Procrastinators of Pleasure Club, and make someday happen. You can do it too! My main focus is on reconnecting with friends, however, I think you can apply these lessons to almost anything fun that you have been putting off until someday. Give it a try! Pick a date and put it on the calendar. I registered for a half marathon when I couldn’t even run for a full minute. I couldn’t back down (without a cost to my wallet and my pride!). 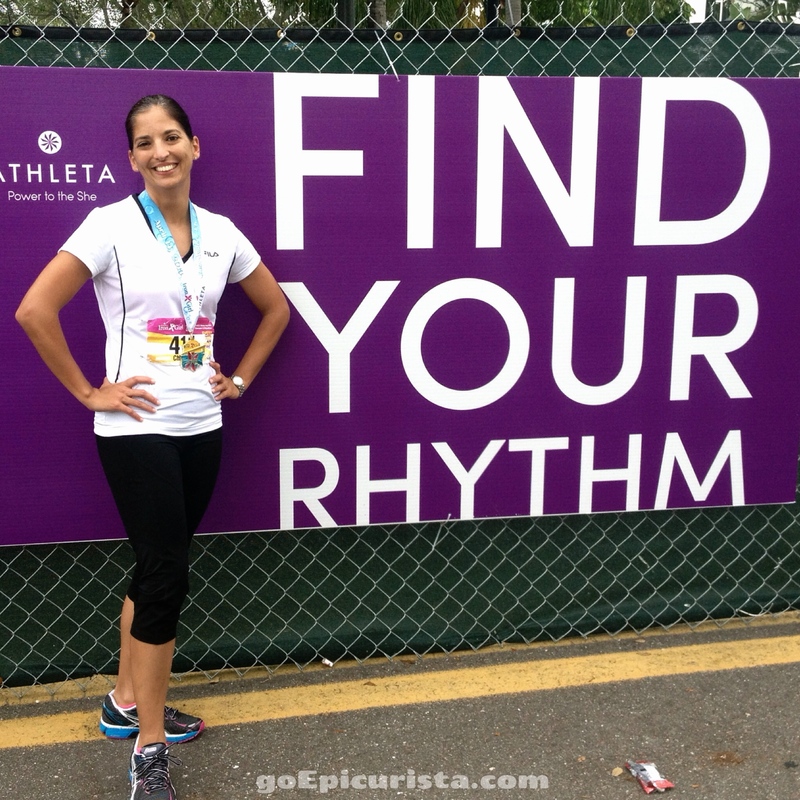 I trained and ran my first half marathon even though I had every excuse in the book not to. I trained because I had that scheduled race coming up and I had two choices, finish or quit and the latter was not an option. I didn’t care how long it took me or how funny I looked shuffling my way to the finish. 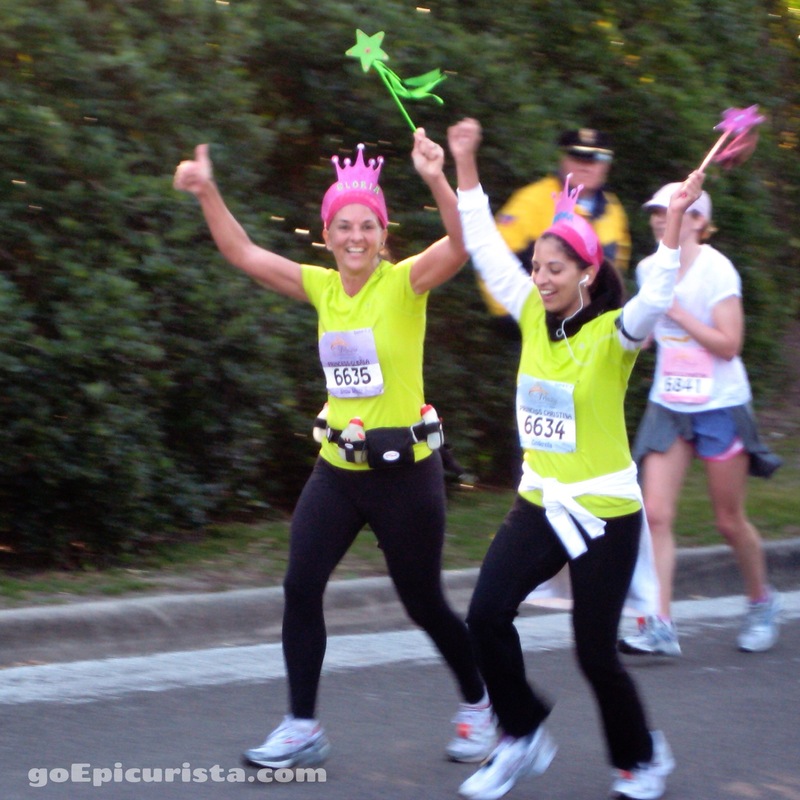 I only cared that I crossed the finish line and I did! Since then, it’s only gotten better. I don’t shuffle much anymore. So, the next time you say to a friend “we need to get together someday soon” or “we need to try that restaurant one of these days” pull out your calendar and set a date, even if it is months away. Make it happen. Instead of a vague “let’s get together soon”, plan on doing something fun and it is likely to happen. Kind of like “If you build it, they will come”. Plan a fun theme dinner or pick a fun restaurant or event to go to. It’s a lot harder to cancel when you have concrete plans for something fun coming up, especially if you have to buy tickets, make reservations or buy props for a theme party. 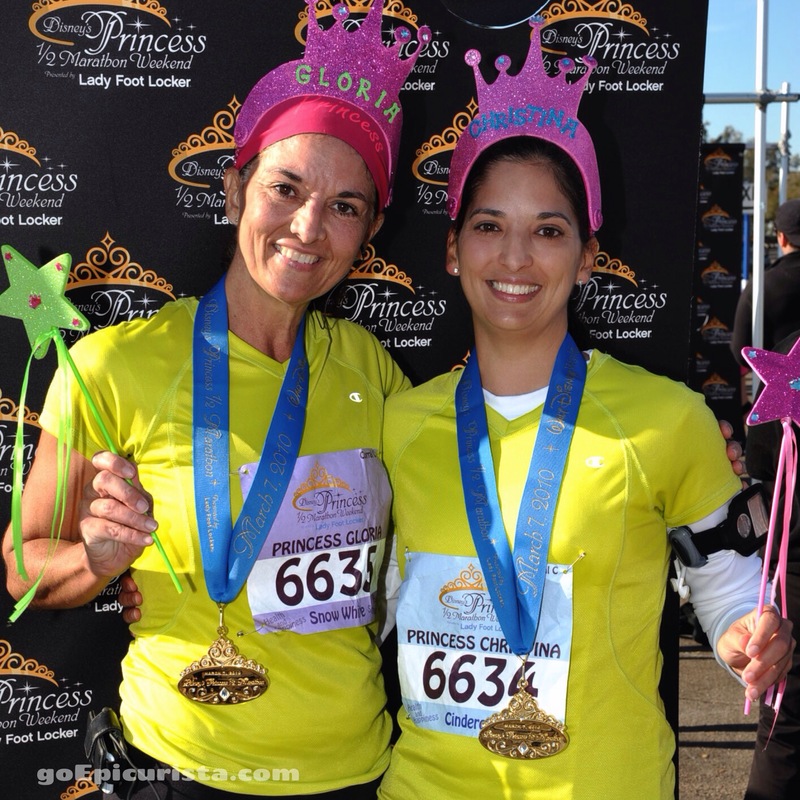 I chose a fun race for my first half marathon, the Disney Princess. When my knees were hurting during training all I kept thinking was “Disney is the happiest place on earth, how bad could this race be?” (insert pitty laugh here!) I was looking forward to the race because Disney knows fun. What’s better than fireworks at the start line and lots of entertainment to distract from the actual running? So when you want to make someday happen and reconnect with your friends, look for fun events or festivals happening in your town, or pick that fun restaurant you’ve been dying to go to. With the date set, tickets bought or reservations made, it will happen. The more you talk about the event before it happens, the less likely you will be to cancel. Build the excitement. Send a message, post on Facebook, hire a plane to write a message in the sky, whatever works for you but make it public. 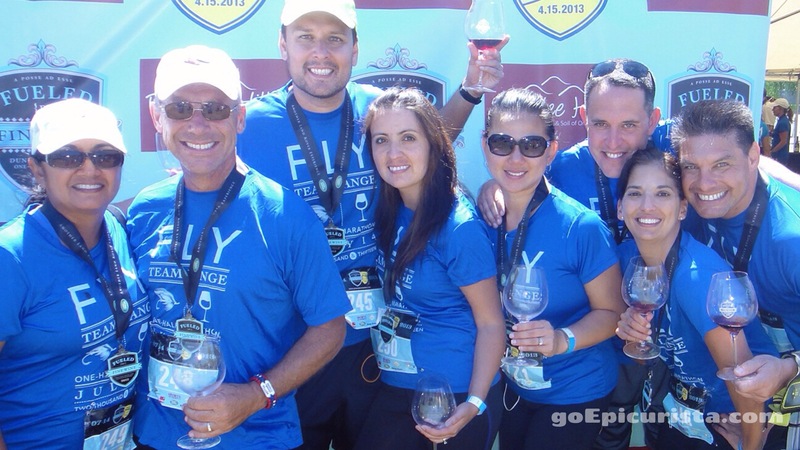 When my friends and I did the Fueled by Fine Wine Half Marathon in Oregon, we spent months planning our trip. Talking about it not only kept us excited but it ensured none of us backed out. Who says you have to do it all by yourself? Remember the goal here is to make “someday” happen, and whatever that is, it likely involves other people in your life. You say you want to plan a fun get together? Good! The goal is to make it happen. It is not to look like Wonder Woman putting together the most lavish of events with perfect hair and makeup intact. That only causes more stress and we have plenty of it with work and family that friendship really should be the stress-free zone. I do have a disclaimer here. I am a perfectionist. I like to plan events full of fun details for my guests to “ooh and aah” and on many occasions I have stressed myself out over doing just what I am telling you not to do. I didn’t always ask for help. I learned you do need to share the work and go to the professionals for help. 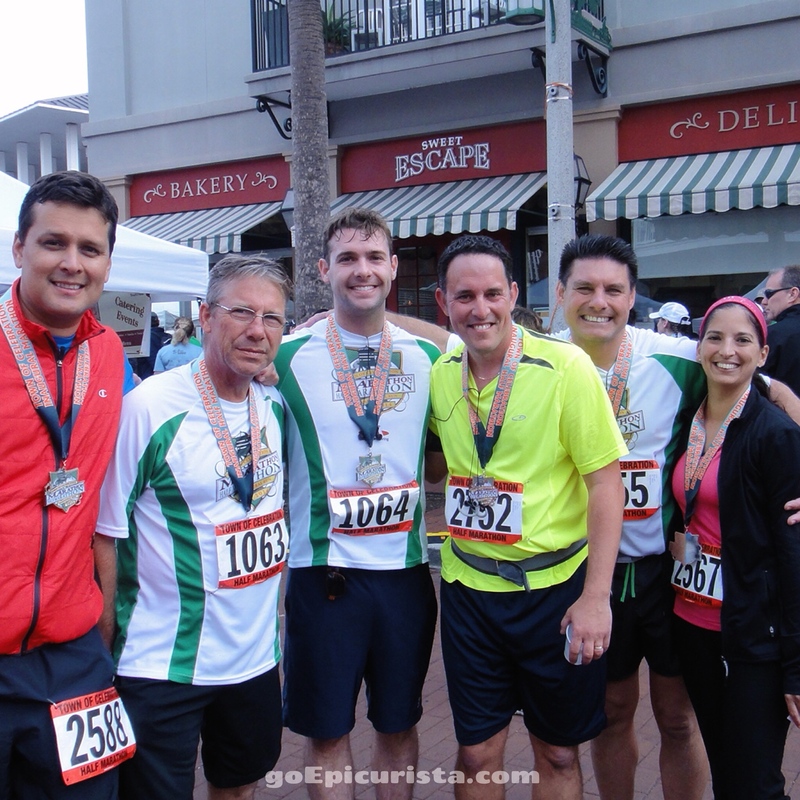 You may ask how I derived this lesson from my half marathon and exercise experiences? After all, someone else can’t actually exercise for you (whoever invents this will be a genius and filthy rich!) With exercise you do have to do the physical work yourself but you don’t have to do it alone. 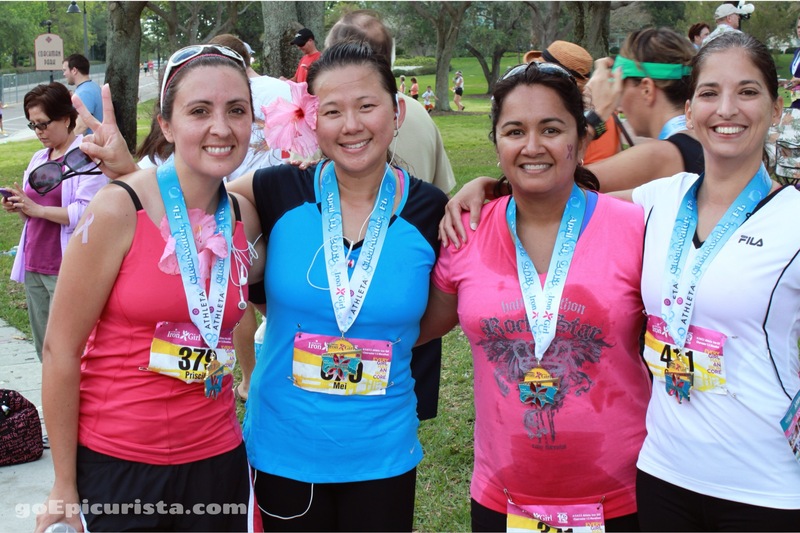 I have run my best and most fun races when running with friends instead of alone. 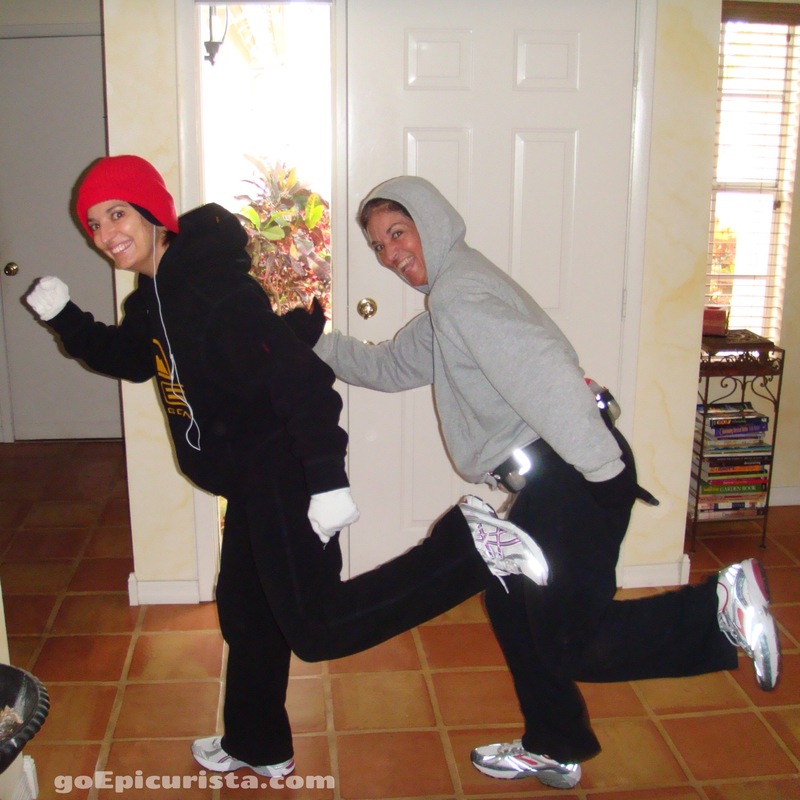 A professional personal trainer held me accountable and taught me how to exercise properly. When working out with friends, we do share the work. The mental work, the accountability and the support. Getting up early in the morning for a run is work and you wouldn’t always do it unless someone is waiting for you at 5:30am. How do you share the work for a gathering with friends? In a nutshell: don’t do all the cooking yourself, don’t do all the planning yourself, don’t do all the cleaning yourself. If you don’t want to have it in your house, have it at their house and if they don’t want to have it at their house, then go out on the town! If you are tight on money, go to a food truck or a coffee house. We are eliminating excuses here people! Fitness Trainers will tell you the amount of time you spend exercising is not nearly as important as the effort you put into it when you do. No, this doesn’t mean you can go out running once and then think you can run a half marathon in your best time but neither can you meet with a friend once and expect to have a close friendship. The quality of the time you spend together doing something memorable is more important. When you commit to a date make sure you are focused on making it the most special it can be. 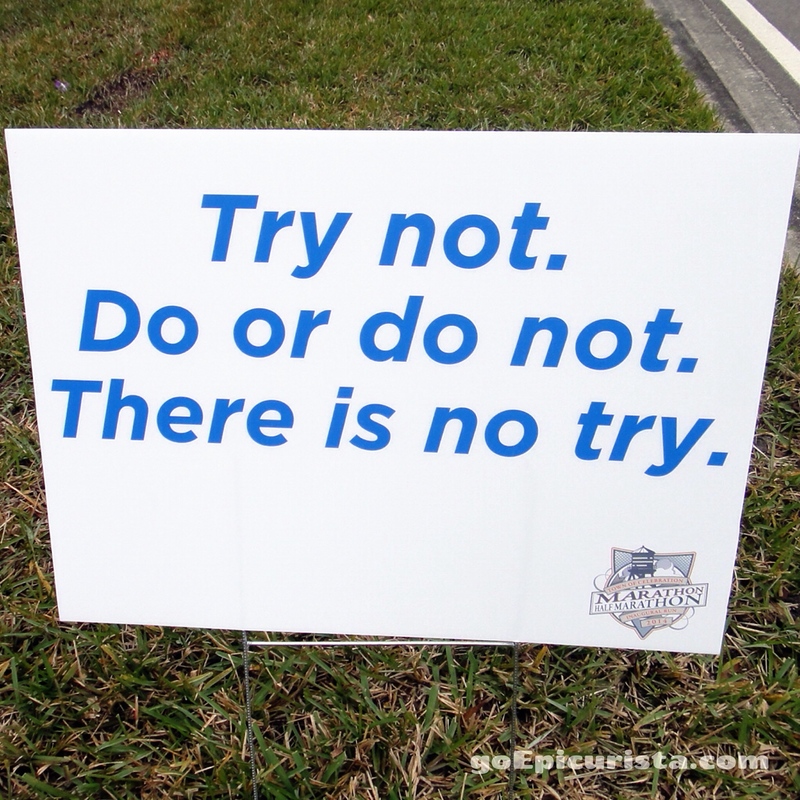 There is no Try. You’re either present or not! I remember many times being at a friend’s house or out to dinner and constantly checking my phone for emails from work, taking phone calls or worse yet falling asleep in the middle of a conversation because I was so tired. Those were not memorable moments or ones that really strengthened my friendships. The same happens when you’re exercising and distracted. It’s hard to give 100% when part of you isn’t there. You need to be present in mind, body and soul to really make it count. I don’t know about you but I’m the type that wants everything at once. If one is good, ten must be better right? This doesn’t always yield the best results and can sometimes be overwhelming. How did I overcome this? I focused on getting ready for one race. That’s it. I was going from the couch (or the office chair in my case) to a half marathon. That was no easy feat. I didn’t look beyond that one race and although cross training is important, I didn’t add any other exercises to my schedule. This would have made it easier to give up. As I look to reconnect with friends, as much as I want to get together with all my friends I’ve ever had since childhood, I have to be realistic and start one at a time for it to become part of my life routine. These friendships were not neglected overnight and they will not be rekindled in a day either. 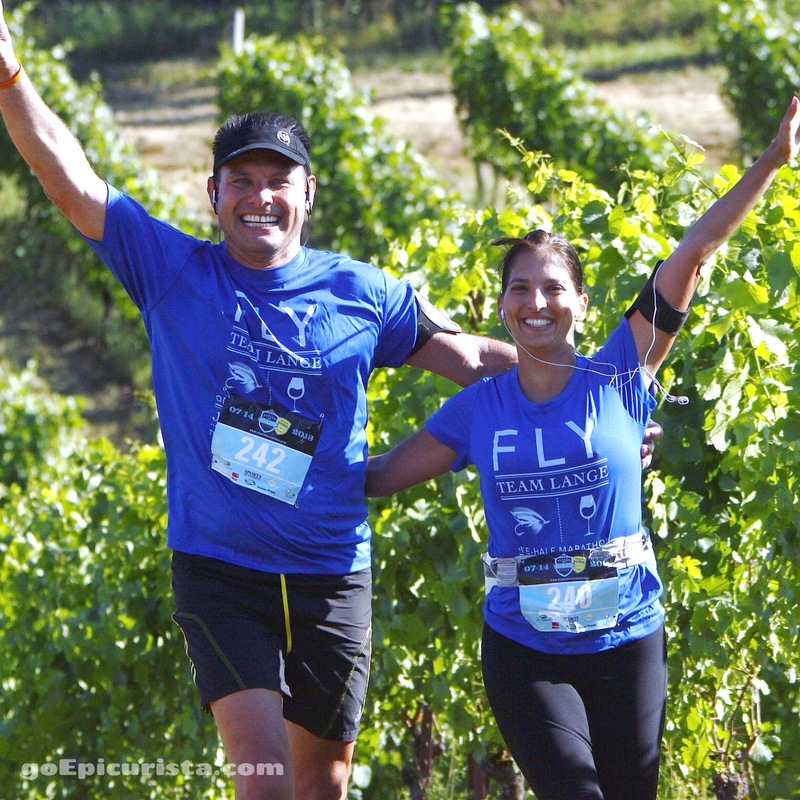 When running long races it’s important to keep pace and try to stay consistent. I haven’t always done that. I have started too fast only to lose steam in the end. The same applies to making “someday” happen. Making your dreams, your someday a reality is a race to maintain for life so remember slow and steady wins the race. Why do I only have nine tips instead of ten? Because I don’t know everything and I’m sure that there is something I missed. Number ten is out there. Maybe you have a tip on how you overcame procrastination and made “someday” happen? Please share it, leave it in the comments and let’s chat. goEpicurista.com is my platform to make someday a reality. To celebrate great food, wine and friends everywhere I go. My mission is to create experiences that will allow me to reconnect with my friends and that will inspire you to do the same with yours. Any day can be a celebration if you have great food, wine and friends. Friends being the most important ingredient. Join me on my journey and we can do this together. It will be much more fun that way. Above I mentioned that you must share the work to make it happen. That’s where I come in. I want to help you plan your fun gatherings with friends so that you can still look like Wonder Woman and Superman without the stress. I will provide you with Entertaining ideas and all the planning tips to make it easy for you to make it happen at home. If you prefer to go out on the town, I have plenty of special outings ideas, reviews of great places, restaurants, and foodie events that provide the right experience for friends to get together and enjoy life. And for those that want to get out of town and travel, I have tons of travel ideas, tips and must see places for vacationing with friends. 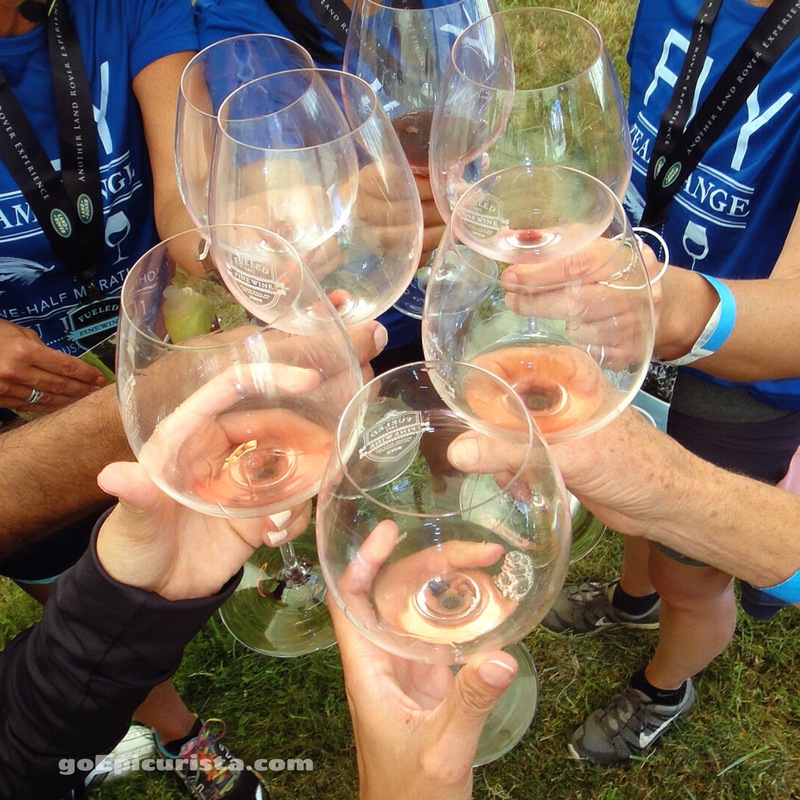 Are you ready to join me and goEpicurista? If so, sign up on the handy box on the right side of the page!